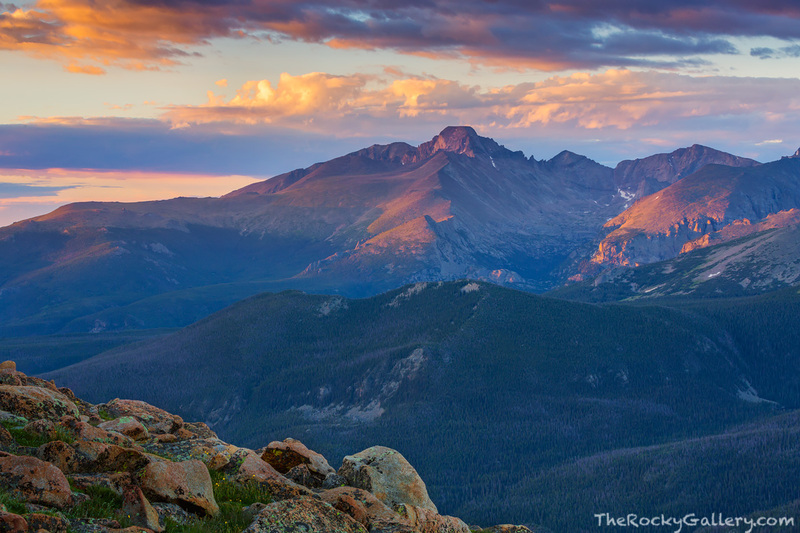 As a stormy overnight begins to clear at sunrise, Longs Peak, and Chiefs Head Peak bask in some of the first rays of sunlight as it finds its way through the scattered clouds. The view along the Ute Trail in Rocky Mountain National Park has some of the most impressive views of 14,259 ft Longs Peak and when the weather is breaking, Longs Peak looks like a crown jewel sitting atop the landscape of Colorado. Photo © copyright by Thomas Mangan.